In 2009, Elizabeth Barrow, a 100-year-old Massachusetts nursing home resident, was murdered by her 97-year-old roommate, a woman described in patient files as being “at risk to harm herself or others.” According to a New York Times story, after being charged with murder, Mrs. Barrow’s roommate was found unfit to stand trial and committed to a state hospital. No charges were brought against the nursing home, Brandon Woods, or any of its employees. Mrs. Barrow’s son sued Brandon Woods, trying to hold the nursing home responsible for his mother’s wrongful death. In 2010, the Times reports, he was barred from court because the agreement he had signed with the nursing home on his mother’s behalf when she was admitted required mandatory arbitration of any disputes. Now, Mr. Barrow is back in court, hoping to have the arbitration clause voided. 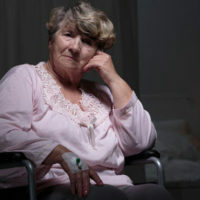 An arbitration clause forces all disputes with the nursing home, even those involving suspected neglect, abuse or wrongful death, into binding arbitration instead of a court of law. In an arbitration proceeding, there is no right to a judge or jury, no right to an appeal, and all the details are kept confidential. As the Times explains, arbitration clauses have become common in all manners of consumer agreements, from cellphone contracts to student loans. The clauses have become particularly popular with nursing homes, buried in complex contracts often signed by elderly individuals with diminishing mental capacity, or by their loved ones undergoing emotional stress. This proliferation of mandatory arbitration provisions has sparked concern among state regulators, who worry that arbitration’s confidentiality allows nursing homes to hide patterns of abuse and neglect from prospective residents and their families. According to a Times review, between 2010 and 2014, hundreds of cases of elder abuse, neglect, and wrongful death ended up in arbitration. Nonetheless, judges have consistently upheld these agreements. Now, Barrow’s case is taking a different track, one that has had some success in other courts. His lawyers argue that he did not have the legal authority to sign away his mother’s right to bring a lawsuit in court. Barrow was his mother’s health care proxy, authorized only to make decisions about her medical care. Absent a power of lawyer, Barrows argues that he did not have the legal authority to commit to binding arbitration on his mother’s behalf. the agreement cannot prohibit or discourage residents or anyone else from communicating with government health care officials. It is a sad fact that our elderly loved ones are sometimes subject to abuse and neglect at the hands of the caregivers we trust. If you suspect your family member or other loved one has been subjected to nursing home abuse or neglect, contact the experienced West Palm Beach lawyers of Lesser, Lesser, Landy & Smith PLLC for a free consultation today.